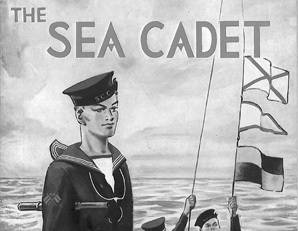 Established in 1856 the Sea Cadets was created by communities wanting to give young people instruction on a naval theme. Traditionally old seafarers provided training while local businessmen funded the unit building. The tradition of community-based Sea Cadet units continues today with 400 across the UK each with charitable status enabling them to raise funds to meet their running costs. All units are members of the Sea Cadet Corps and are governed by the national charity MSSC - the Marine Society & Sea Cadets. We work in partnership with the Royal Navy under a Memorandum of Understanding (MOU) and receive corporate support from commercial shipping companies and the Maritime sector. We aim to inspire young people to reach their potential by developing valuable, personal attributes like team working, independence and communication skills through nautical based adventure. Sea Cadets date back to the Crimean War when sailors returning home from the campaign in 1856 formed Naval Lads’ Brigades to help those orphans, created by the conflict, who ended up on the back streets of sea ports. By 1899, Sea Cadets received Royal recognition when Queen Victoria presented the Windsor unit with £10 for uniforms – an event now known as the birthday of the Sea Cadets – celebrated on June 25th. In 1919 the Admiralty officially recognised the 34 brigades and changed the name to the Navy League Sea Cadet Corps. Lord Nuffield’s (founder of Morris Motors) donation of £50,000 enabled the Sea Cadets to expand and by the outbreak of the Second World War there were 100 units in the UK supporting 10,000 cadets with training in seafaring skills. As the war took hold the Navy League purchased an old sailing vessel – TS (Training Ship) Bounty – on which the ‘Bounty Boys’, as they became known, undertook pre-service training with 1000’s going on to active service. 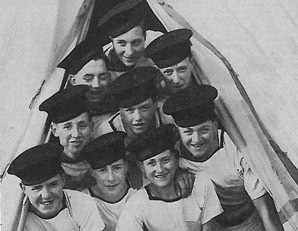 In recognition of the contribution that these brave young people made to the war effort, officers of the Sea Cadets still wear the wavy lace insignia of the wartime Royal Navy Volunteer Reserve. The Admiralty was so impressed that it took over the training and in 1942, with King George VI as Admiral; the Movement adopted Sea Cadet Corps as its name. In the same year, the Girls Naval Training Corps was formed, this ceased to exist as a separate body in 1980 when the admission of girls into the Sea Cadet Corps was approved. In 1955 a Marine Cadet section was formed within the Sea Cadet Corps. Their training, whilst essentially similar to the Sea Cadets, includes activities like camouflage and concealment.